Founded in 2007 in Tel Aviv by David Ring and Israeli brothers Yoni Assia and Ronen Assia, eToro has since gone on to become one of the most innovative and trusted brokers around. Its business growth means it now provides brokerage services to around 8 million global customers from 140 countries. 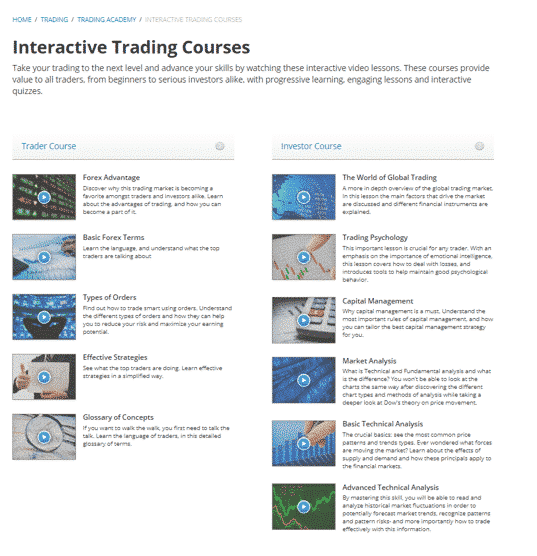 Those traders experience a very user friendly platform through which to trade the markets and the social and copy trading offering is widely seen as market leading. 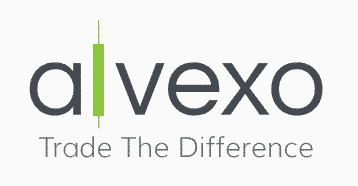 Originally founded as a pure Forex brokerage, Fintech giant eToro now offers its clients the chance to trade their own account in popular CFD’s, including: stocks, ETF’s, currencies, indices, cryptocurrencies and commodities. The stand-out feature for eToro is its social and copy trading which is accessible through the same platform as the self-trading account. eToro traders are therefor able to trade independently or take a more hands off approach and copy the trades of other eToro users. Offering an easy to use web-based platform with a good choice of assets to trade, and self-trading and copy-trading services it has become one of the biggest names in the sector. The eToro offering is different in nature from most of its peer group and judging by the number of awards it’s gained, that approach would appear to be bringing them much success. There are no separate trading commissions or fees applied to accounts of traders using eToro. Brokerage fees are instead included within the bid-offer spread. One consequence of this is that eToro spreads might at face value look wider than those at some other brokers, particularly those that charge commissions separately. 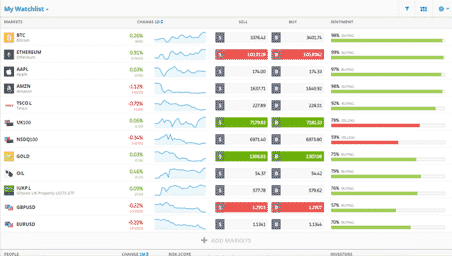 When all costs are analysed on an aggregated basis, however, eToro performs well in comparison to its peer group. The eToro platform is clean and easy to use. Its simple layout allows smooth navigation through the separate sections. Particularly eye-catching is the News Feed area where comments and opinions of other traders mingle with official announcements. The site is cleverly designed and whilst offering access to a lot of information it manages to maintain a clean attractive appearance. 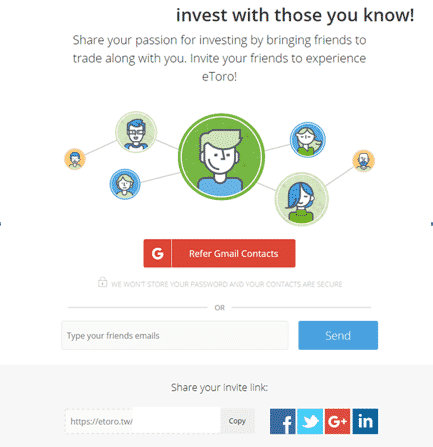 The platform eToro uses is web-based and this fits in well with the position eToro has taken in the trading world. Rather than go head to head in terms of advanced features with other brokers, they have instead catered to their target audience. This gives an impressive user experience for the new or casual user. In terms of features, the platform has basic charting functionality that is simple to use. eToro also offers basic technical indicators that traders can use; from Moving Averages to Bollinger Bands and Stochastics. However, the more experienced trader may not find all the indicators or advanced functionality they are used to having available to them. Demo accounts with some other brokers do not allow users to experiment with copy trading. At eToro things are different and it is possible to do try it out. 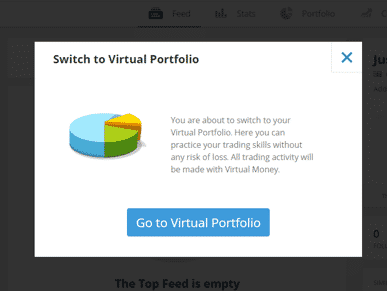 You can trade your Virtual Portfolio and follow someone else’s real trades to get a feel for the process or use the demo account to trade your own strategies. 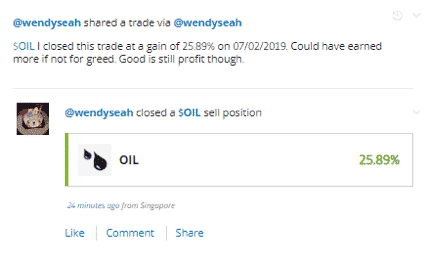 This is a positive feature of the platform and using the demo account to trade on a stand-alone basis or copy trading is a neat way to get the feel for the site as a whole. Our own experience of the site is that it’s as reliable as any other. There is however a range of online comment referring to the site at times, freezing or becoming unresponsive. There would appear to be too many people voicing this viewpoint for it to not be the case. Without access to the performance data it’s hard to categorise the extent that this is an issue but not being able to access your positions would be an uncomfortable situation for any trader. Customer service at eToro is available 24 hours a day, Monday to Friday and is multi-lingual. Whilst the provision of 24/5 support gives a degree of comfort, the support desk does have a reputation in the market for slow response times. The Help and Education section of the site is the only one where navigation becomes counterintuitive and it’s possible to feel you are being led in a loop back to the Help Section which is an electronic FAQs section, rather than a support desk offering communication with a member of eToro staff. Traders holding positions in fast moving markets do sometimes need to be able to get quick answers to their questions and eToro could do more to make this possible. Some traders suggest using social media is the best way to engage with the help desk, others point out that the performance levels improve once traders are up and running rather than trying out the platform on a demo account basis. This might well be the case but it’s very easy to feel members of the trading community are having to work too hard to find out how to best access support. The written responses we received from the eToro customer service team were succinct and fully addressed all our issues; there was no need for us to ask any follow up questions. Whilst the response was therefore of sufficient quality the turn-around time was measured in hours rather than minutes. There is a wide choice of all the major currency pairs to trade – this amounts to 47 currency pairs on offer in total. Although eToro does offer a range of asset classes to trade, in the main its focus is on FX and a market standard range of CFD’s. The ability to trade cryptocurrency is a big plus for this broker and the range of crypto on offer gives it an edge over some other brokers. 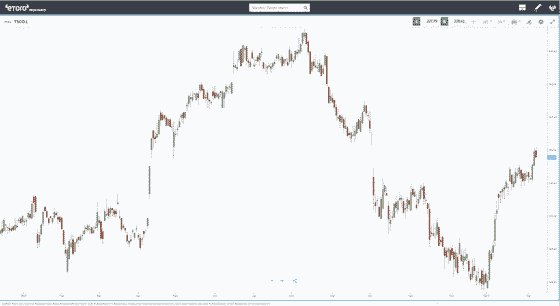 Where it does fall down somewhat is the bias it has towards CFD product and a reduced choice in terms of only around 500 stock options to trade. This may be an issue for the serious stock market trader who wanting to find small or medium size businesses to invest in. The offering of markets and instruments to trade is fairly comprehensive and traders across the globe hold accounts with eToro. The eToro service is currently not available to those from the USA. The firm make mention that this may be about to change but at time of writing it’s a case of ‘watch this space’. eToro does not carry much in the way of trade offers and on this particular subject does not compare well with other brokers. 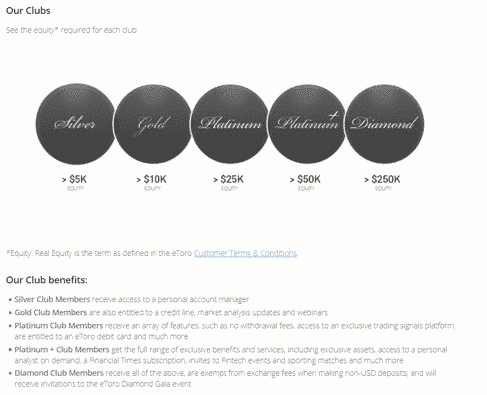 There may be the occasional trader contest and the ‘eToro Clubs’ regime allocates certain administrative style privileges according to how much capital users hold in their account. As you’d expect there is also a referral scheme where traders are rewarded for introducing new users to the platform. eToro is undoubtedly underperforming in terms of special offers but focusing on this somewhat misses the point. The major draw in terms of supplementary income streams is the potential for traders to establish a successful track record and then be a trader that others follow. At that stage Popular investors would earn fixed payments and up to 2% of their annual assets under management. eToro does provide a range of free materials to help with research and learning but it’s a long way from being considered as a market leader in this area. Those articles and training videos that are to be found, share the attractive formatting found elsewhere on the site but the actual range of materials can only be described as limited. One helpful tool is the ‘Guide’ section where users are taken on a two minute introductory tour of the site. Set in the style of an automated Q&A section it goes as far as outlining how to execute a trade. It’s another example of the innovative nature of the platform and even more experienced traders will ultimately save time if they take the tour. 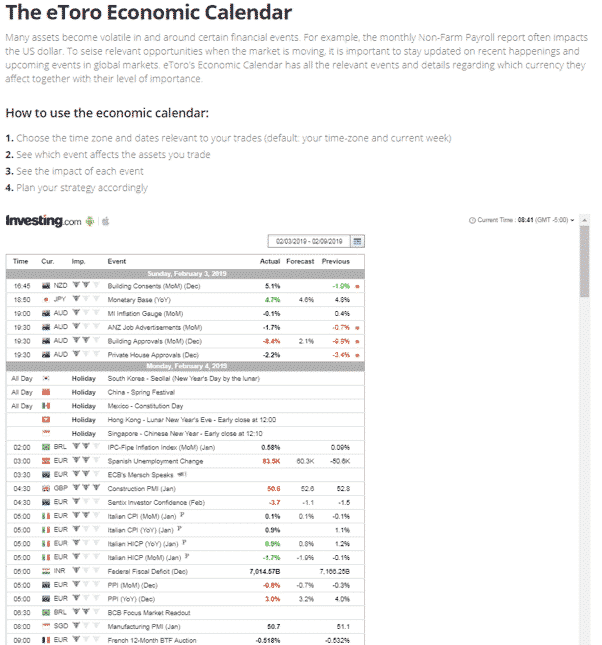 Basic tools such as an Economic Calendar are available and undoubtedly provide valuable support to traders but services such as this are now expected as standard. Whilst the education and learning resources available are satisfactory there is little chance of them being described as exceptional. There is some third-party research available through the site. It tends to covers such topics as market sentiment but these reports and in-house Daily Reports are lightweight in nature. Advanced traders in particular would likely prefer to base their strategies on reports that are more substantial in nature. Overall, while the resources available to traders are useful, they are fairly basic, and the limited amount of genuine market research or insight may be a problem for some. The Guide function is an automated tour of the basic features of the site and takes about 2 minutes to run through. This is optional rather than compulsory though would certainly benefit the novice trader and is a nice tool to have available. One area outlined during the Guide tour is the demo account. 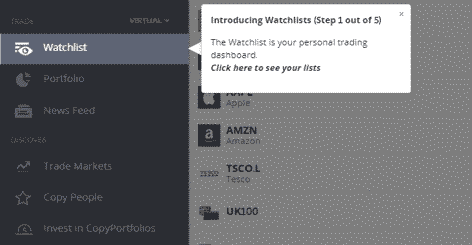 The Guide shows how toggling to enter the Virtual Portfolio area allows new users to walk through simulated execution of a trade or try out copy trading. Other areas of the site are easy enough to get to grips with and the structure of the layout means it’s hard to imagine it ever feeling cluttered. Opening a Demo account is very easy to do and provides access to most of the sites functionality. 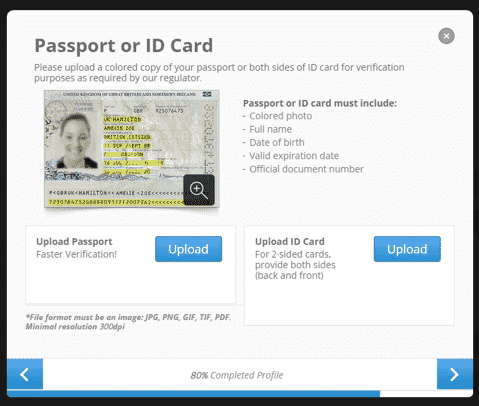 The site leads new users to ‘complete their profile’ and gain extra user privileges. Effort appears to have been made to make this a relatively painless experience and the extent of the requests for documentation whilst time consuming, should be interpreted as eToro demonstrating good governance. Opening an account and trading the Real or Virtual Portfolio is straightforward and introduces traders to the intuitive functionality of the platform. There is some online comment about the withdrawal of funds not being as smooth a process as deposits and whilst that appears a valid concern we did not experience that particular problem during this review. 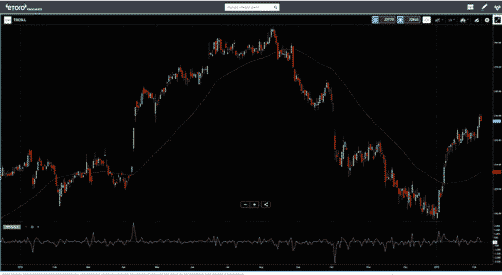 The eToro site prides itself on it’s layout design and this carries over into the area of Order Execution. Stop Loss and Take Profit fields are a prominent part of the interface rather than an afterthought and trade parameters can be set using cash values (amount) or instrument nominal (units). A particularly positive feature is that leverage rates can be varied on each trade. eToro provides mobile trading apps for both iPhone and Android devices. Traders using the mobile apps will benefit from the trading functionality being the same as that of the desktop trading platform. Although user friendly, it is still a little basic for the more tech savvy professional trader. Users may also find that some of the icons and buttons are not optimally laid out on the mobile apps which can get a little frustrating. 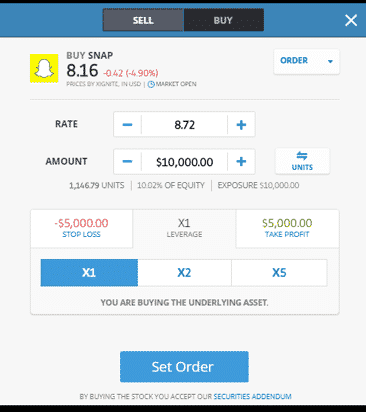 Overall though, the mobile apps that you can use with this broker are well-designed on the whole and allow traders to access their account wherever they may be. 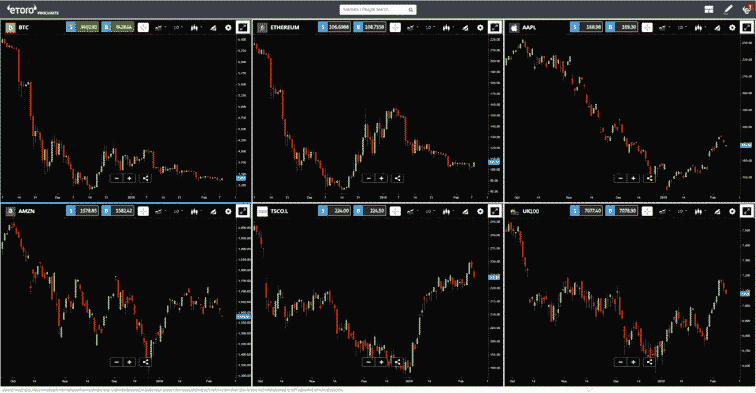 The clean functionality of the trading platform comes across particularly well on a smaller screen. 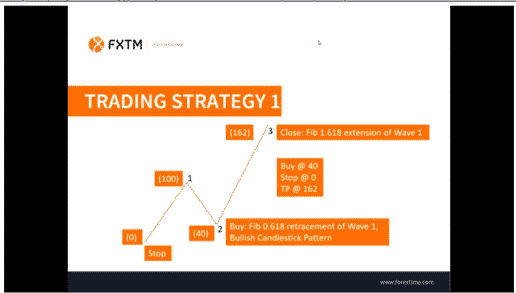 When it comes to automated trading, the Copy Trade feature is the main plus here. 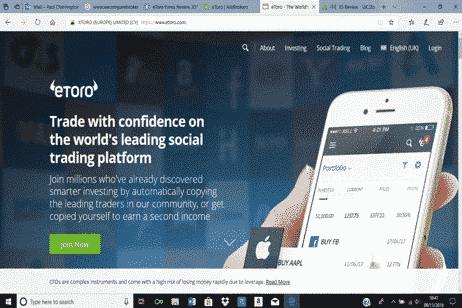 This allows less experienced users find and copy other successful eToro traders and involves the ‘following’ account automatically opening and closing positions as and when the ‘leading’ account does so. This is where eToro really stands out from the crowd and the firm promotes itself as one of the big social trading pioneers. This is a really great feature and one of its main selling points. 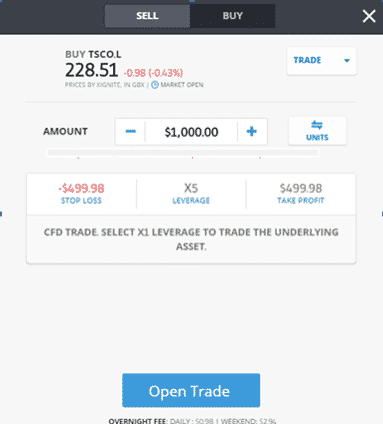 Not only is it easy to do, with a few clicks on the relevant screen, but it can be done in the Demo account environment to ensure traders become familiar with the process before allocating capital. There are lots of traders to copy. 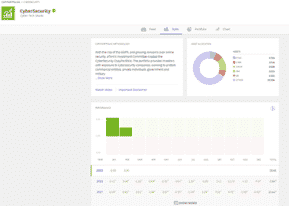 Each offers profile information including historical performance data and risk rating. Supplied with this information, traders who want to copy trade can make a selection according to their preference. One key thing to look at when choosing a broker is the security of the funds you hold there. Holding FX and CFD licenses with both CySec and the FCA, requires eToro to comply with a range of laws concerning such things as money laundering and the segregation of client funds. Both regulators can be turned to with complaints and acquiring licenses with them is a considerable plus point for eToro. 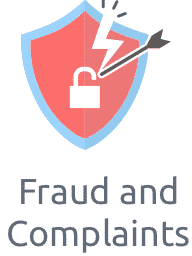 The behind the scenes risk management goes further as evidenced by the eToro website operating using the latest 128 SSL technology with which they encrypt and protect user’s personal data. Historical events in the financial markets act as a reminder that traders need to be vigilant when selecting their counterparties. Large firms, such as eToro, with global coverage and a highly visible profile have a lot to lose from any regulatory misdemeanors or operational malfunctions. To some extent the threat of reputational risks helps to align the interest of the platform and the individual account holder as both would have a lot to lose from any problems of this kind. eToro scores highly in this category. As one of the more established FX and CFD brokers, eToro has developed a reputation of being a natural home for the casual or less advanced trader. A market leader in terms of copy and social trading means it has a committed following from the group of traders who prefer a more hands-off approach. The platform though is not only about copy trading and the self-trading area of the site offers a good range of assets and markets to trade and with competitive pricing. With an easy to use and visually appealing web-based platform, many traders will find this one of the most user-friendly brokers around. Web-based platforms are also good for any trader who does not want the hassle of downloading separate charting software, just beware the reported problems other traders have flagged up with the platform freezing at times. The real downside with this broker is perhaps the lack of appeal it has for more experienced or tech savvy traders. It is certainly not as advanced in terms of charting and research as other brokers on the market. While the general fee structure is favorable compared to others, traders need to factor in the quite steep $25 withdrawal fee. The other major bugbear is the customer service levels and slow response times that many users report. On the whole though, this eToro review has found it a reliable and enjoyable option to consider. The many awards it has gained including the 2015 and 2017 Best of Show titles amongst others certainly seem to confirm this. Here at WeCompareBrokers, we think it is a professional, reputable website that is ideal for the new trader.